How many times have we not heard: "those cartoons are very rude and violent now", "those cartoons are a bad example for children", and blah blah blah. What many of those people don't know is that there are cartoons specifically aimed at adults, loaded with great content whether it is violent, sexual and / or rude, that is, it is not that the cartoons of now give a bad example (well some yes xD). When we talk about this type of animated series there is something for all, and that is that the creators don't skimp on creativity at the moment of producing them since, as they are cartoons, and due to the audience that is directed, whatever they want to capture is possible "the sky is the limit" for them; more than once I've seen an episode of Xs animated series and I've thought: "What kind of drug will the writers consume?" "Wow, that LSD was bad", and stop counting hahaha, because they are so "peculiar", others lack total meaning ... and I love them. Well, as the title says this time I'll show you my favorite animated series for adults, so let's get started. 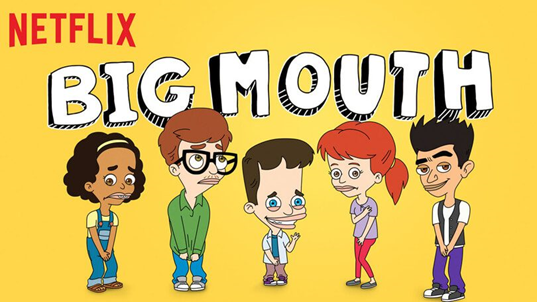 This animated series is basically about two friends who are going through the tough stage of puberty, where 1 of them has a slow development compared to the other whose development could be said to be accelerated or rather precocious; Many of the situations they face are extremely annoying, shameful and even grotesque, but the most interesting part of this is that they are based on the experiences of 2 of the creators when they went through that stage. But these guys are not alone, they are accompanied by hormonal monsters that represent bodily changes, their own thoughts and their mood changes. It consists of 2 seasons and announced a 3rd, undoubtedly a very entertaining series that could remind us (sometimes) a little our puberty. 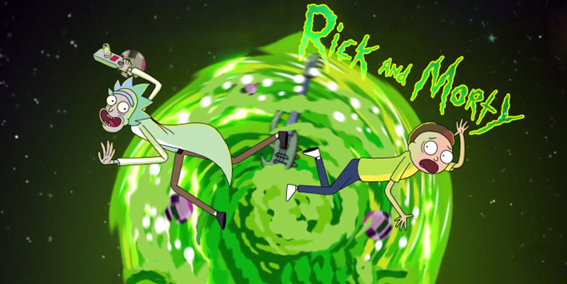 This one is a little more known than the previous one, I'm sure you already know it, but for those who do not, this animated series shows us the adventures of a crazy and alcoholic scientist (Rick), with his insecure grandson (Morty), up to here Well, but it turns out that they are adventures that include interdimensional trips, intergalactic and stressful situations for poor Morty, always end in problems that somehow or another "are solved". As a curious fact, one of the creators is the one who gives the voice to Rick, and to make the respective recordings, he gets drunk to make it more real xD. The series consists of 3 seasons, full of creativity, originality and good humor, excellent to spend an entertaining afternoon. This series, if it is quite peculiar, is not for everyone, it is extremely gore, so much so that it borders on the irrational; the story revolves around a "normal" family that has a dog which is demonic, but everyone except the grandfather of the family thinks it is normal; the grandfather knows that he is demonic and that he even has a secret lair (with a slave included) under the house, and that is because the dog has fun making heavy jokes, but in the end nobody believes him and they take him for crazy. In this series I really feel that the creators at the time of writing the script consume some kind of hallucinogenic drug, because it is that it is too crazy, and bloody of course. The series consists of 3 seasons with short chapters of 11 minutes, loaded with a very very black humor and... blood.